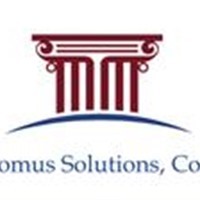 Domus Solutions Corp., is a renowned residential home improvement company which has been bringing lively variation in the look and feel of homes and apartments with its service for last 19 years. We are located in NY and are licensed, bonded, insured and an E.P.A certified firm. With a team of seasoned interior renovators and remodelers, we specialize in extensive residential remodels, unique size kitchen remodeling project, simple bathroom remodeling project to repairs and everything in between. From the simple to the lavish transformation by installation of kitchen cabinets, facelift of millwork, customized woodwork piece, we strive to give our personal touch so that your home gets a conversation power to express your class, style and penchant. Our customers and their visions are everything to us. Since we understand how special your project is for you, we do our best to ensure that your every needis fulfilled. We are the men of words. This’s why we offer 1 year guarantee on our workmanship phase and if miss anything during our working period, we will get back happily to complete it and exceed your expectation. So, whenever you feel the need to transform the atmosphere of your home with our work, call us at 718-606-6947 as we are just a phone call away.